It’s October, meaning the new school year is well under way. 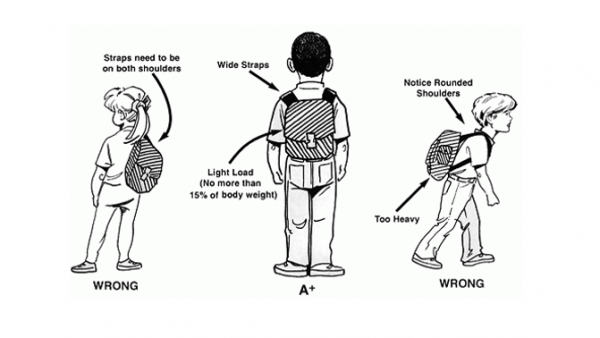 This is around the time when students with ill-fitting or over-filled backpacks start experiencing the first signs of back, neck, and shoulder strain. 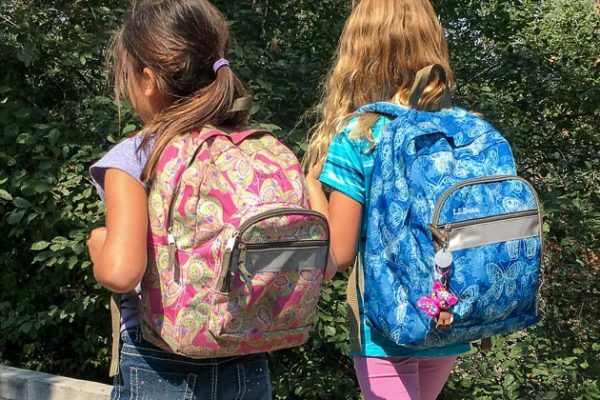 On average, a person who has attended kindergarten, high school, and four-years of university spends around four and a half years of their life carrying a backpack. The repercussion of wearing it wrongly can be long-lasting. 1) Don’t carry over 10-15% of your body weight in a bag pack. A heavier backpack promotes leaning forward to overcompensate, creating muscle strain in the back and neck. 2) Avoid slinging your bag over one-shoulder. While it may look “cool,” the uneven weight can create problems for the spine and increase stress on the mid-to-low back. 3) Carry heaviest content closer to back to maximize support. 4) Make sure your bag has wide, padded straps. Everyone’s body is different, so rather than getting a one-size-fits-all, make sure the straps are adjustable. 5) Choosing a bag with a hip or waist strap is great way to balance weight comfortably. 6) An ill-fitting backpack is the main cause for strain. Make sure your backpack rests between your shoulders and hips, and sits flush against your back. If back or neck stiffness is something you already experience, explore other backpack options, such as ones with wheels. Also, make the most of your locker at school. While making frequent stops at your locker to switch books may seem inconvenient, chronic back and neck pain is much worse. If your child is complaining about back pain, shoulder strain, or numbness in the arms, book in a consultation with one of our chiropractors at Elite Physio. Give us a call at 905-997-8337 or email us at info@elitephysio.ca .